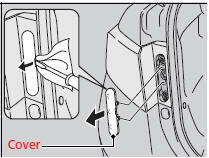 - Wrap the flat-tip screwdriver with a cloth to prevent scratches. 3. 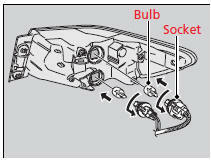 Pull the light assembly out of the rear pillar. 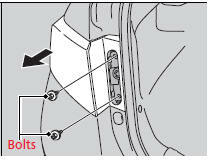 4.Turn the socket to the left and remove it. Remove the old bulb. 5. Insert a new bulb. 6. 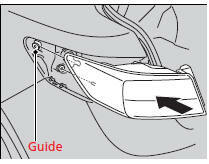 Reinstall the light assembly by sliding it on to the guide on the body.